Change is something that we all have to deal with in our lives, and even positive change can cause you to feel stressed and out of control. It’s the uncertainty that change brings rather than the change itself which causes the most stress. This feeling triggers fight or flight reactions within our bodies, elevating the heart rate, increasing blood flow and suppressing the digestive and immune systems. Needless to say, none of this is a healthy way to live your life, so you need to find ways to get better at dealing with change, as there is no way to avoid it altogether. There are some techniques that can help, like focusing on what you can control in the situation you are in, which can bring some perspective to your situation. Another is to see the change – particularly a negative one – as inevitable rather than unlucky and an opportunity for growth rather than a personal setback. The stress may have negative effects on your health, but the reaction happens to help you, so instead of struggling with it, identify what it is helping you to do and develop the resilience to do it. It’s also important to put a time frame on your adjustment to the change, rather than letting the uncertainty last too long. While all of this is happening, you need to look after yourself, firstly by not forgetting your everyday needs. Get the sleep you need at night, the exercise you need during the day and the healthy food your body needs to be at its best. Don’t be afraid to lean on friends and family during the difficult times and to get professional help if you realize that you require it. 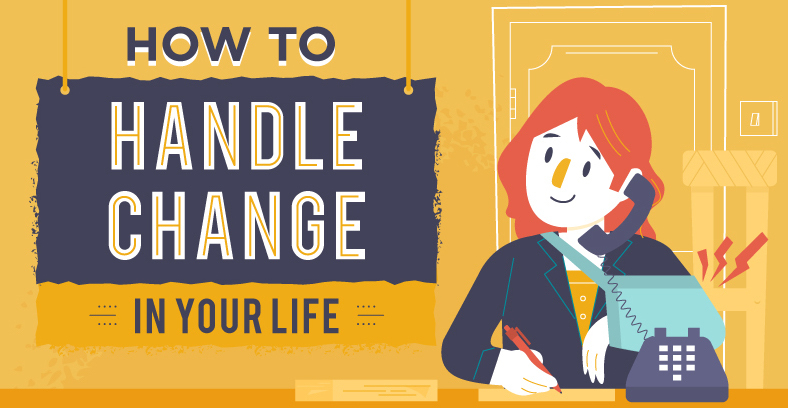 All of these tips can help you start to cope better with the stress and uncertainty that change brings so that your mental and physical health do not suffer and you can find out more in this infographic from Pounds to Pocket. Is There A Right Way To Bring Up An Ethical Issue At Work?